No brokerage. Free site visit. 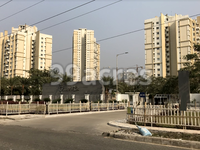 Elita Garden Vista in New Town, Kolkata East by Sureka Group and Merlin Group and JB Group is a residential project. 6.8 Acres of Elevated Central Park. Master Planning done by A61 from Singapore. 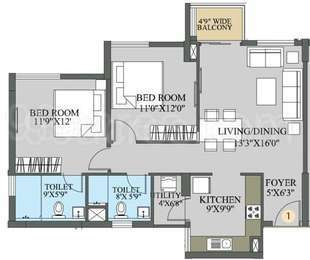 The size of the Apartment ranges in between 1209.0 sq.ft. and 1955.0 sq.ft. Elita Garden Vista price ranges from 58.03 Lacs to 96.77 Lacs. Elita Garden Vista offers facilities such as Gymnasium and Lift. It also has amenities like Badminton court, Jogging track, Lawn tennis court and Swimming pool. Bank loan approved from HDFC home loans, State Bank of India and Indiabulls. It is a ready to move and under construct project with possession in Nov, 2015 with few units already sold out. The project is spread over a total area of 24.7 acres of land. It has 87% of open space. Elita Garden Vista has a total of 16 towers. The construction is of 30 floors. An accommodation of 1549 units has been provided. Elita Garden Vista brochure is also available for easy reference. In which area is Elita Garden Vista located?The project is situated in New Town, Kolkata East. What are sizes of apartments in Elita Garden Vista? The apartment sizes in the project range from 1209.0 sqft to 1955.0 sqft. What is the 2 bedroom size in Elita Garden Vista? 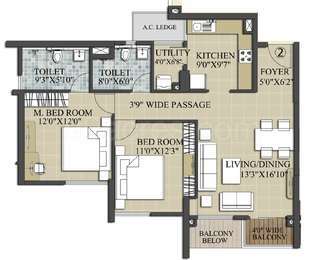 2 BHK units in the project are available in a size of 1209.0 sqft to 1210.0 sqft. What is total area of 3 bhk in Elita Garden Vista? 3 BHK units in the project are available in a size of 1503.0 sqft to 1955.0 sqft. What is the total area of Elita Garden Vista?The project spans across 24.7 Acres. How many units are there in Elita Garden Vista?There are 1549 units available in the project. Under the leadership of Mr Pradeep Sureka, former President of CREDAI, Bengal, Sureka Properties has become a household trusted name since its inception. Owing to its integrity, transparency and dedication, the group has a consolidated position in Bengal and has left a mark in Andhra Pradesh, Orissa and Sri Lanka, delivering world-class designed constructions. lkata, Ahmedabad, Raipur, Chennai as well as Colombo, its project emanate meticulous planning, Â quality material, workmanship and after sales service followed by value addition to justify its success. Emanated in 1971, JB Group was the vision of Late Jhumarmal Bachhawat, which ventured into a vast portfolio of finance, agriculture, manufacturing , power projects etc and prospered into one of the most impeccable name in the real estate industry. Through its excellence driven and customer centric approach, the company aims to be at the pinnacle of success through solution oriented approach. Its real estate projects presence spans across Kolkata, Delhi, Jaipur, Bangalore, Hyderabad and Colombo Sri Lanka. So is this project already completed or is it under construction? @chinmoy, please refrain from posting your contact details here as this forum is meant for property related discussions only and it is against our policy, however you can post your advertisement here: http://www.99acres.com/do/advertiseproperty.The first two listings are free. For paid packages offered by 99acres, please refer to this link: http://www.99acres.com/do/buyourservices You may write to us at feedback@99acres.com or call us at our Toll Free # 1800 41 99099 (Monday - Saturday 9:30AM to 6:00PM IST) for further assistance.